Is it possible to do calculations in matrix? I have a screen shot of what I'm looking for. If you need any clarifications, please let us know. Cheers! but how do i add up a total within the matrix? you to read, copy, distribute, disclose or otherwise use in any way. 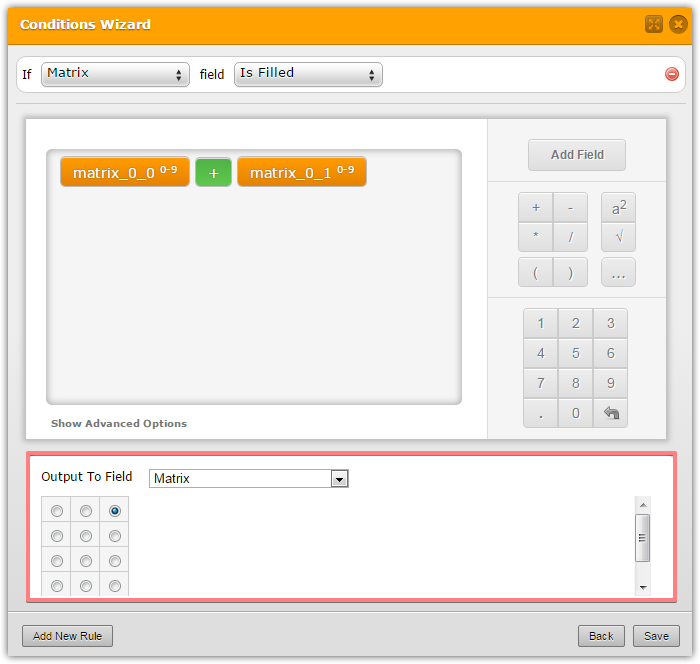 The calculation option within Matrix field is not yet implemented in our new conditions user interface. 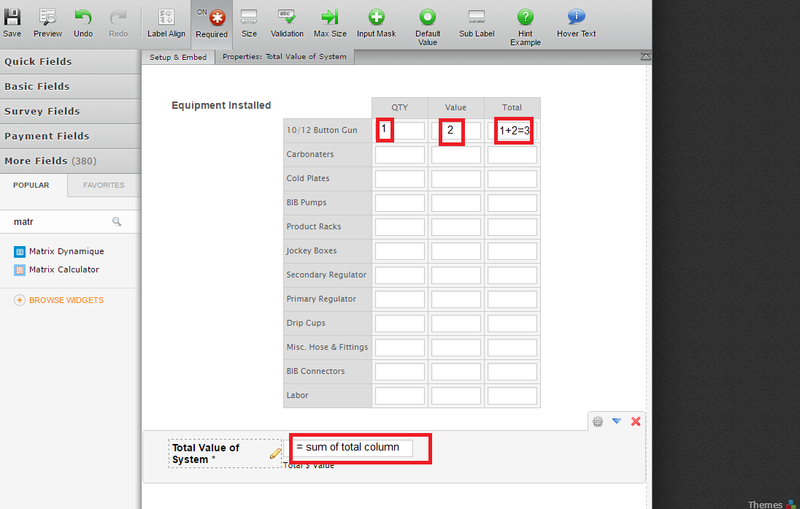 However, you can still add those matrix calculation conditions via old user interface. 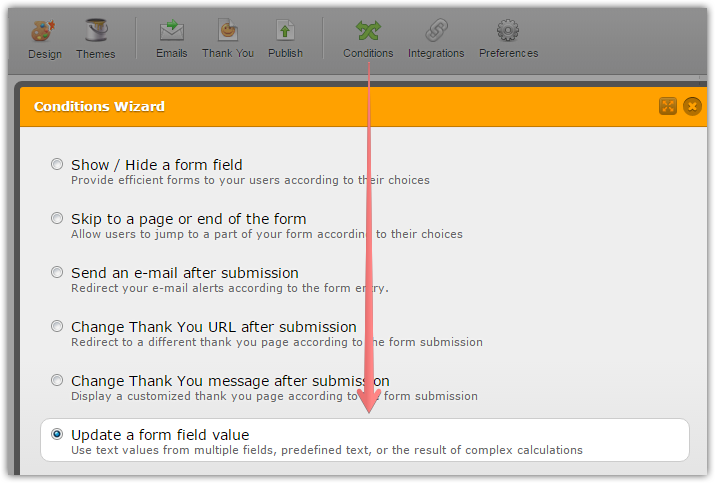 To switch back to the new UI re-login to your JotForm account. You might also need to wait for a session expiration. We've improved the new interface and this issue should not appear anymore.